Keith poses an interesting argument in his post Battle in Adland: Big Shops Encroach on Little’s Digital Turf, and while I tend to agree with the top level assertions, I think there are many more layers to this particular onion. A rising tide in our industry surely floats all boats, and the fact that more companies/organizations/individuals are becoming digitally savvy, and larger percentages of marketing and communications budgets are being allocated to digital, means more of us have and will continue to have jobs. That helps everyone – a larger pie from which to slice. But I disagree with the position that larger agencies are “catching up.” With acquisition-based growth, perhaps it’s more accurate to say they’re buying up. At Visceral, we don’t see ourselves leading or following in this race because to us, there is no race. We are not competitors. Thinking otherwise is merely engaging in the comparison of different fruit. We base this assertion on the 3 Cs of Culture, Cost and Clients. When a Big Agency acquires a smaller agency, it’s akin to a professional sports organization buying talent, rather than developing it organically. This is hugely important for a number of reasons, not the least of which is because digital – despite many agencies best efforts at integration – is not only a business area, it’s a culture. And integrating this culture is not a simple plug and play model. Culture is developed and nurtured – not bought and sold. Many small firms are built by people who’ve left a Big Agency to start a business operated through the guise of their specific take on culture – our own company included. While larger agencies are often older, and carry with them legacy corporate cultures that have been ingrained in their employees for decades. Our entire team matriculated from large agency PR. Each of us left for our own reasons, but among the most compelling was to take the good lessons we learned at these firms and build a business with our own cultural vision – a vision that we could have not instilled in our previous big agencies without years of work and a movement of people behind us. Culture is not a buzzword, it’s promise to our employees, and by extension a promise to our clients. We definitely eschew silos, but we don’t just say this to support sales. Silos are expensive and inefficient – two things a small agency can’t afford. How many people out there working at Big Agencies have been in a client meeting where five senior strategists showed up, asked for the billing code, provided minimal value, and then left? Because we’re leaner, we need to be more efficient. Our rates are also approximately half of what staff members with our respective experience might charge at a Big Agency. That’s not cheap – that’s cost effective. And a lot of companies out there, especially in this economic climate, need cost-effective solutions. Every dollar counts. The agency world is not one size fits all. Eschewing silos, and being nimble are, and for the foreseeable future will continue to be, huge selling points – especially for organizations that do not have communications budgets to pay often astronomic agency rates. It’s rewarding to work on projects that make the world a better place, and to do so at a price structure in line with the budgets these clients have to work with – which is why our primary focus is working with nonprofits and cause organizations. Few Big Agencies have cost structures – combined with an honest and supported internal approach – for providing comprehensive counsel and tactical execution for nonprofits and cause organizations. The priority is utilization – being billable. If you’re not making your numbers – nonprofit work be damned – you’re going to get a visit from senior leadership, guaranteed. These points, which were politely swept aside in the article, are crucial to our model, collectively, as small firms. They are the reason we are and will continue to be compelling to a number of clients who need savvy digital counsel that doesn’t cost a mint. For small firms, not only does the future “not look bleak” – it in fact looks pretty damn bright. 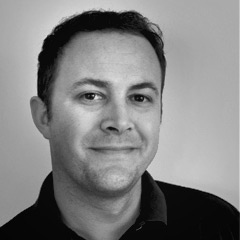 Will Sullivan is Visceral’s chief strategist and head of client services. He has more than ten years of digital, media, and content-development experience. Will works directly with clients on a variety of projects including digital communications planning, content strategy and production, interactive application development, comprehensive website redesigns and online marketing campaigns. Previous PostRapture Fizzles After Sponsor Viagra Pulls OutNext PostFriday!